My child has been obsessed with trains since the moment he was old enough to say “choo-choo”. 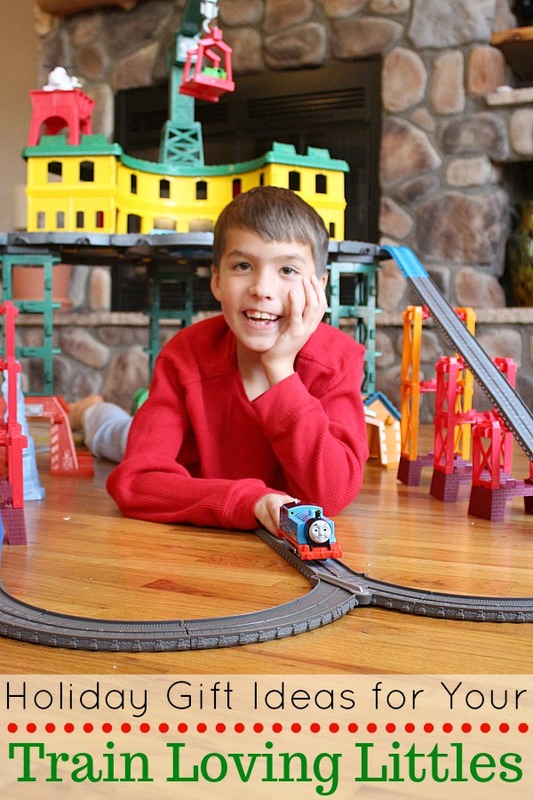 More specifically, he’s been obsessed with his favorite train Thomas and all of his fun and fabulous friends. Needless to say, with trains being such a big deal to him for so many years, we’ve always got a train-centric gift on his holiday list. This year though, I was able to take the guesswork out of which train to get him and instead of spending hours in the toy aisle comparing every set and wondering which one would be best, I discovered that the best, the most fabulous, the you-can’t-go-wrong-with-this holiday gift idea for your train loving littles is without a doubt the Thomas & Friends Super Station from Walmart! For those of you who already have kiddos who have discovered the Thomas line of toys, you know that it’s awesome. There’s just something magical that those little trains do to turn play time into an amazing adventure. So, you already know that you can’t go wrong when you bring Thomas into your home. 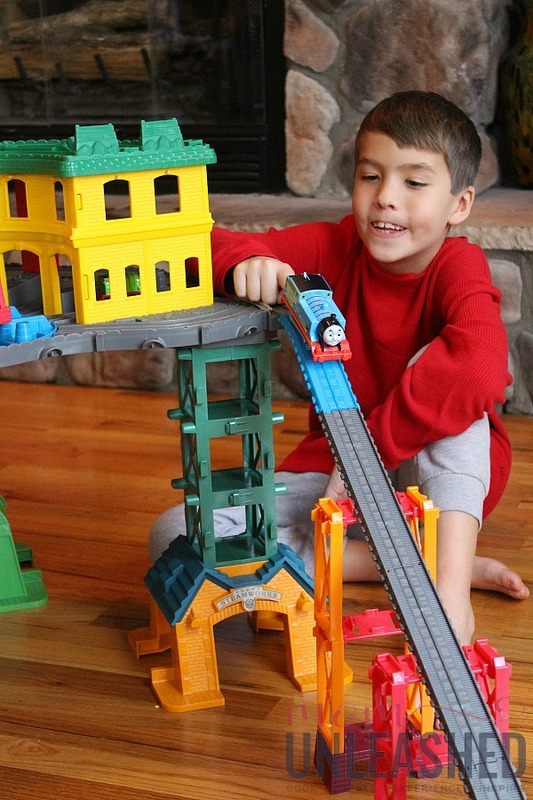 But I’m going to tell you why this Thomas & Friends Super Station set is really the best and only choice when it comes to your gift giving needs for your train loving littles. Let’s break it down why don’t we? What is the Thomas & Friends Super Station? If your kids are anything like mine, you’ve discovered that Thomas comes in all shapes and sizes. There are TrackMaster trains, Adventures trains, MINIS Trains and more! 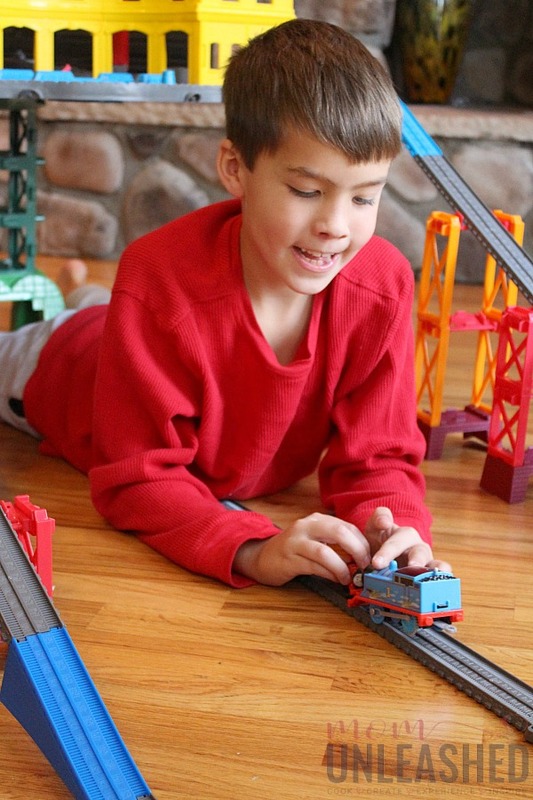 The Thomas & Friends Super Station is the perfect home for ALL your child’s Thomas Trains! 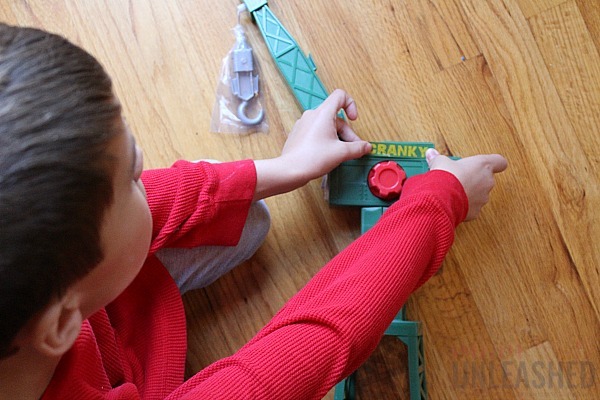 This awesome kit (that’s sure to make a perfect holiday gift for any train lover) includes over 35 feet of track and boasts two racetracks plus floor play and has a turntable with stop-track lever. 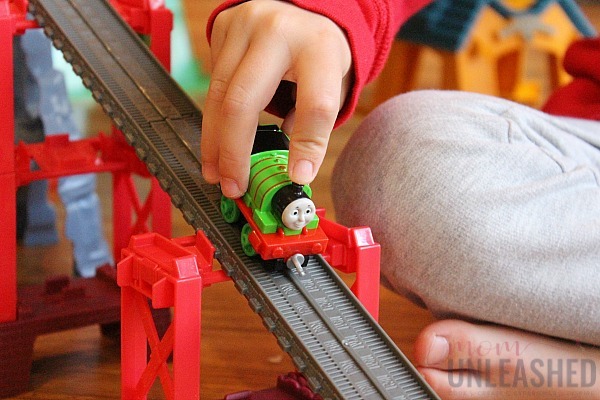 It also includes track adapters that can connect to other Thomas & Friends play sets that can be purchased separately. The set comes with Thomas (TrackMaster™), Percy (Thomas & Friends™ Adventures), James (MINIS) and Harold included but can hold up to 100 (that’s right, ONE HUNDRED) engines in a variety of sizes! 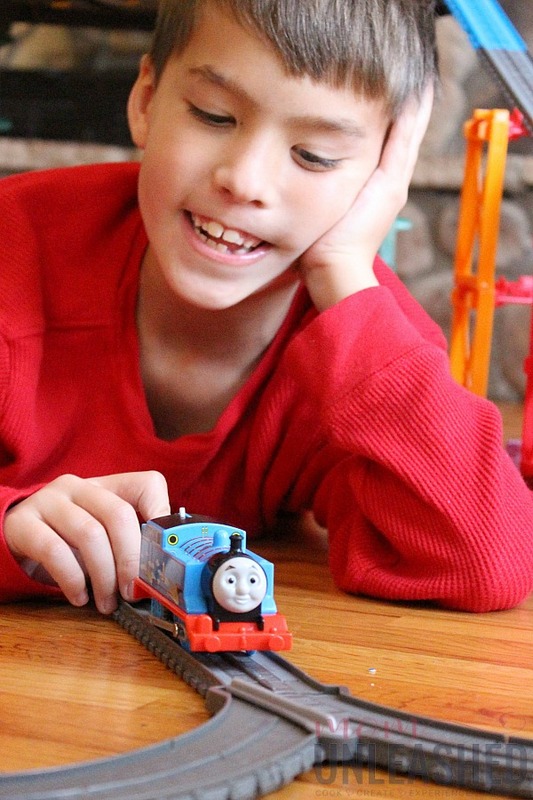 Are you seeing why this is a must for your Thomas loving littles yet? Well, don’t go anywhere because we’re just getting started! I know there are a lot of train sets out there but the versatility of the Thomas & Friends Super Station set is what really sets it apart! Inside one box is the option to create a world for Thomas and his friends that is configured perfectly for the space in your home. Building this set is half the fun and it can be built in a variety of ways that allow it to fit in any space in any home! The set includes easy-to-follow instructions that are easy for parents to put together and even more fun for kids to help with! 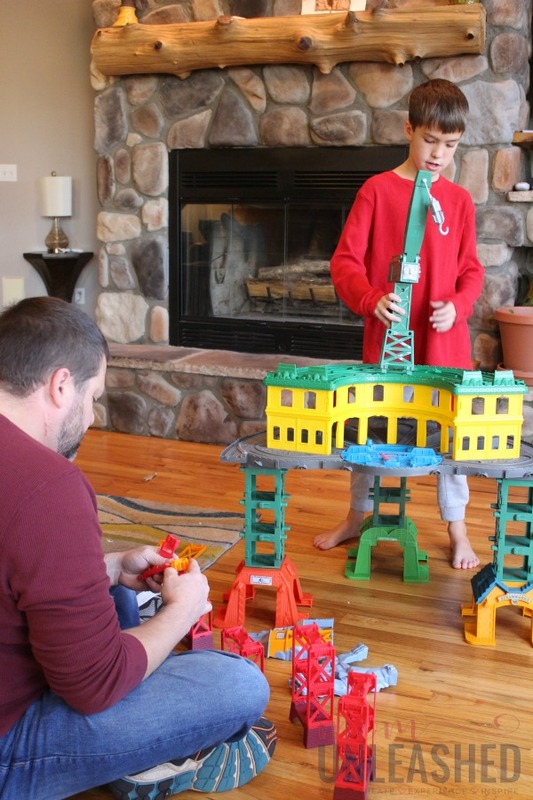 There are some pieces that need to be snapped into place but if you have kiddos that are a little older like mine, building the Thomas & Friends Super Station is an adventure in itself. 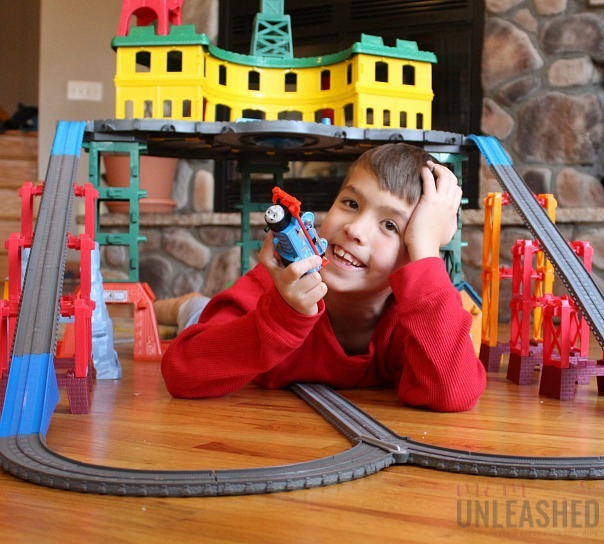 In addition to the fun turntable with stop lever track, this set boasts 35 feet of track that can be configured in a variety of ways, ensuring that play never gets boring and the set fits perfectly in any space. The Thomas & Friends Super Station will even work with other Thomas & Friends play sets to make an even bigger adventure! Will It Work with the Trains my Child Already Has? This set’s size and scale alone makes it totally worth it for trail loving littles but what really sets it apart is that the Thomas & Friends Super Station set works with any Thomas Engine scale. For you mamas who have Thomas lovers that have collected trains over the years, don’t worry! This set fits them all! With room for 100 engines in a variety of sizes, it’s the perfect way to breath new life into the trains and sets you already have while offering your child a play area that ties all their engines together. 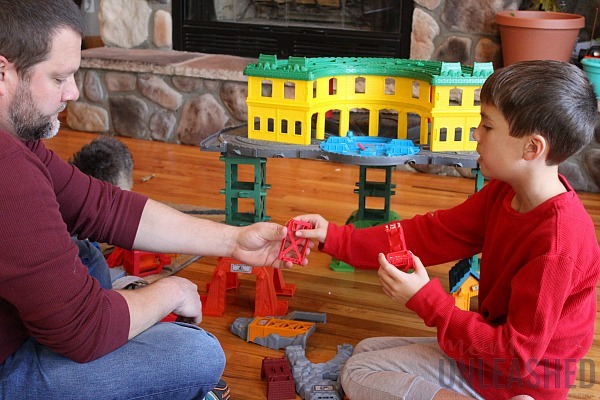 You heard me right…..ALL the Thomas & Friends trains work on this awesome set and with the ability to even connect the other sets you may already have in your home, it’s a gift that you simply can’t go wrong with. No more standing in the store and worrying about getting the right engine for your child’s set…you can simply grab them all and know that they only make playing with this set more fun. OMG! Where Can I Get It? Whether you’re a parent, grandparent, cool aunt or uncle or even just a friend, it’s easy to see that gifting the Thomas & Friends Super Station set is the perfect choice this holiday season. So the question becomes where do you get it and the answer is easy! The Thomas & Friends Super Station set is available at Walmart (WOW!) and you can even take advantage of layaway option to purchase it today and have it under the tree in time for Christmas morning. 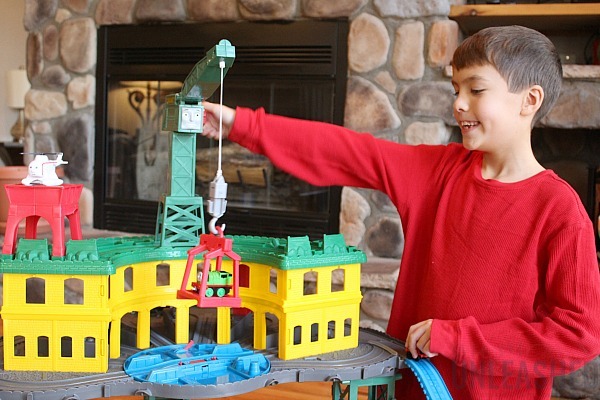 If you want to guarantee endless fun in a form that works for any little train lover this holiday season, you want to get the Thomas & Friends Super Station set from Walmart. So head in store today and make this purchase that is sure to bring tons of holiday cheer chugging down the track. 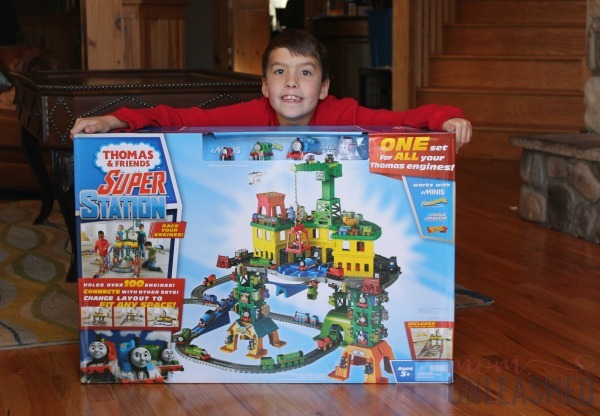 To find out more about the Thomas & Friends Super Station set at Walmart, be sure to click here. Then tell me, who do you know that would go crazy for this fun train set on Christmas morning? 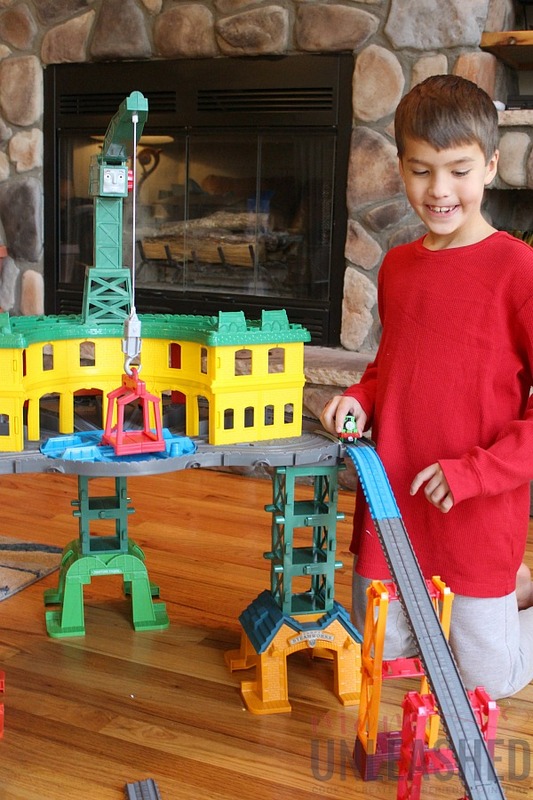 That is one epic train set for any young train lover. I can see a kid getting lost for hours in that make-believe locomotive land. This set is just so cool! It sounds like a lot of fun and it’s really nice that it works with other kinds of trains. What fun! You get to build it and enjoy it. My boys are train fans, too! Thomas is the best train set ever for little kids. My kid loved it a lot! 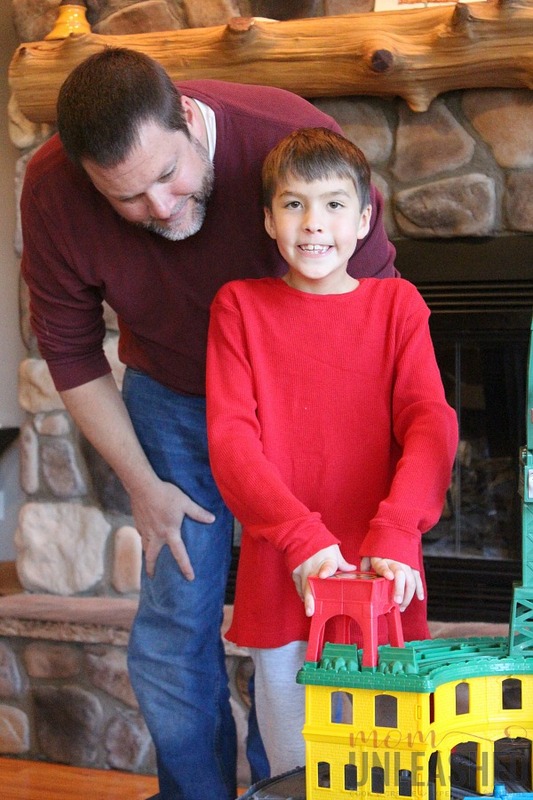 My son is 6 and loves his trains! We are even going to Thomas Land soon! I think he would love this set so much! My son was train-obsessed as well! One year we took him on the Thomas The Train Experience where he got to ride the train and it was the highlight of his year. He would have loved this set when he was littler. Love all these ideas! Hard to choose a favorite! Can’t wait to share your list! 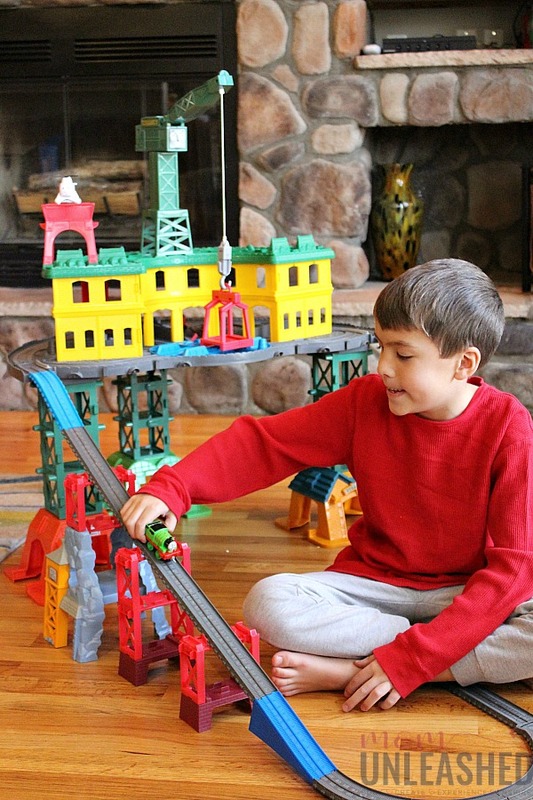 We have two train enthusiasts in our house and I know they would LOVE this set for Christmas! What fun! It looks pretty easy to put together too which is always a win for me!! This would be perfect for my grandson! Oh my goodness, he LOVES trains. He already has 3 small sets but this one you featured is awesome! My son was also obsessed with trains from a very young age. This is a great list and I know parents will find it very helpful.